Tierra del Fuego, the great archipelago at the southern tip of South America is shared between Argentina and Chile. 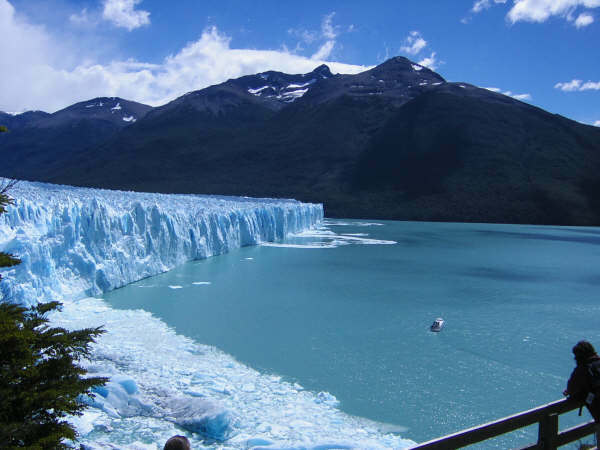 Several glaciers that reach the ocean originate on the Darwin Range, part of the Cordillera of the Andes, of which the tallest peak, Mount Darwin, 2488 meters high, is located in Chile. The cold and wet summers of Tierra del Fuego help preserve the ancient glaciers. NOTE: The information regarding Argentina on this page is re-published from other sources. No claims are made regarding the accuracy of Argentina information contained here. All suggestions for corrections of any errors about Argentina photos should be addressed to the copyright owner noted below the photo.